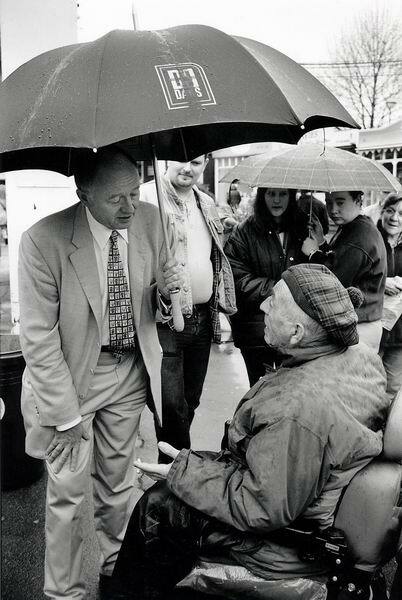 april in london, showers and so an umbrella over ken as he shares a moment with a well-wisher at gabriel's wharf, southwark. i'm always impressed when i see him talking to people in the street. 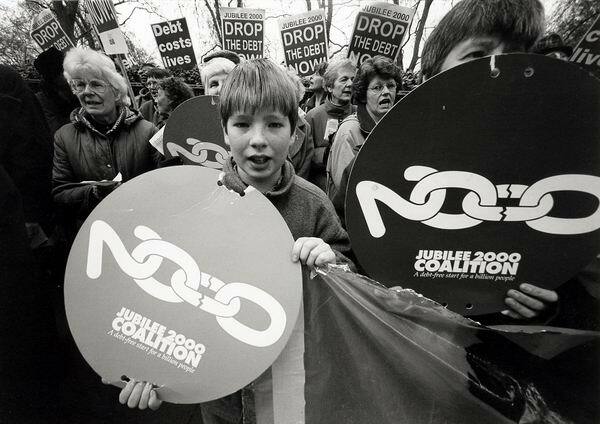 jubilee 2000 continues to put pressure on the politicians to deliver, although they have still a long way to go.